“We need to work together across party lines to make a real difference in what is a tragic situation for the country with the 5th biggest economy; we can no longer turn a blind eye as the problem gets worse. Rough sleepers in the East Midlands rose from 313 to 358, an increase of just over 12.5%. A lot of respect for this lady and the way she is tackling the yah-boo politics of Westminster. 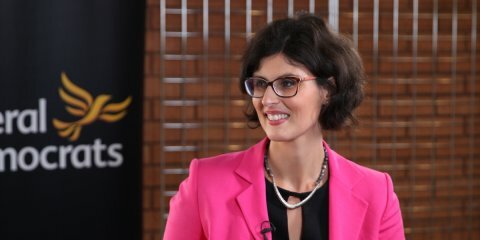 She comes over with common sense and clarity when on TV debates and- in my opinion as a Liberal Green LibDem on the periphery of the mainstream(! )- she looks increasingly to be a strong contender to be next leader of our party- and even deputy prime minister in the next coalition? !